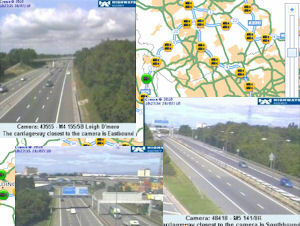 Highways England Traffic Cameras System is a national system designed to deliver live still CCTV images and video direct to your desktop, with access restricted to Highways England operational staff and stakeholders. 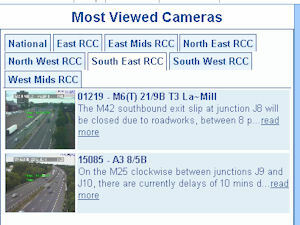 The source video and images presented through Highways England Traffic Cameras System are supplied courtesy of the Highways England. To prevent unauthorised access, username and password authentication is required. The Highways England Traffic Cameras system has been designed to be firewall friendly with images accessed via your browser with no extra software to install. 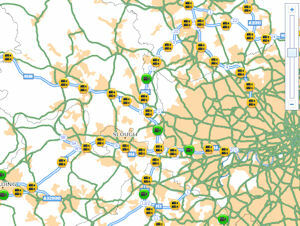 Map displaying the cameras, map controls and an easy to navigate feature. View the list of cameras that have been accessed most. 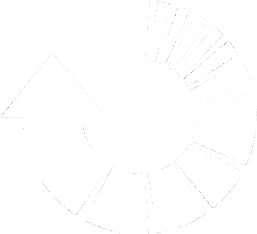 View multiple camera images and their information by selecting cameras from the list or map.